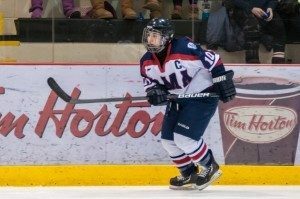 St. Mary’s Academy is proud to announce that grade 12 SMA student and captain of the Flames Prep hockey team, Danielle Krzyszczyk has been invited to try-out for Canada’s National Women’s Under-18 team. The selection camp takes place August 10-18 at the Canadian International Hockey Academy in Rockland, ON. Krzyszczyk is the only Manitoba athlete selected along with 39 other young women from Ontario, British Columbia, Quebec, Alberta, New Brunswick and Nova Scotia. 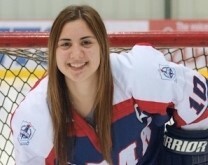 Congratulations to Danielle Krzyszczyk who has been selected to participate in the U18 Team Canada Training Camp in Toronto from May 1 to 5, 2013. Danielle is 1 of 2 Manitobans selected and among 50 young women from across Canada to be invited. SMA is proud of you Danielle! 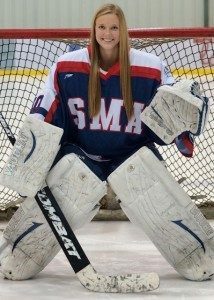 The SMA Hockey family is pleased to announce that grade 12 Prep team goaltender Annie Chipman has accepted a spot to play for NCAA Division I University of North Dakota women’s hockey team for the 2013-14 season and begins classes this fall in Grand Forks. Way to hold high the torch, Annie! The SMA Hockey family is pleased to announce that grade 12 Prep team blueliner Jenna Thompson has accepted a spot to play for her hometown University of Manitoba Bisons CIS hockey team next year. Jenna will join last year’s SMA Prep team captain Nicole McGlenen as a team mate in brown and gold. The entire SMA community is extermely proud of this accomplishment. Way to hold high the torch, Jenna! St. Mary’s Academy thanks everyone who participated in the Female Sport School Challenge – you made this inaugural event a success! Special thanks to all the teams that travelled from near and far. Congratulations to the Edge for winning Gold! Download more information regarding the Female Sport School Challenge tournament. Team Manitoba made history this weekend as they skated to a silver medal at the women’s U-18 hockey championship in Dawson Creek, BC. 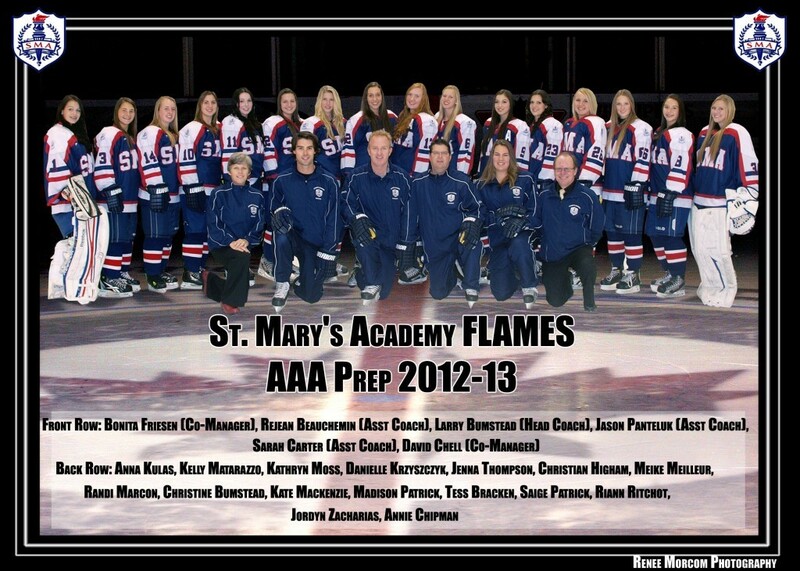 SMA congratulates our power forward Danielle Krzyszczyk and her teammates for representing our province so well! For more information on the U-18 tournament, visit the Hockey Canada website. 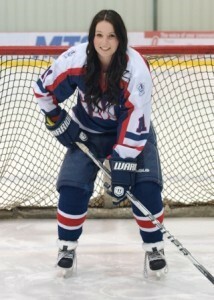 St. Mary’s Academy’s hard shooting Flames Captain, Danielle Krzyszczyk was named to Hockey Manitoba’s Under-18 (U-18) team in October 2012. The U-18 team features Manitoba’s elite female players, born in 1995 and 1996. 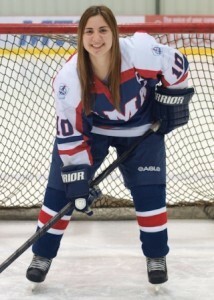 Krzyszczyk and her teammates compete in the U-18 Championships this November in Dawson Creek, B.C. The St. Mary’s Academy (SMA) Prep Hockey Team competed to a final fourth placing out of forty top teams from across Ontario, the northern States and three teams, including SMA, from Western Canada at the 8th annual Stoney Creek Midget AAA Female Hockey Showcase Tournament that took place September 7th to 9th. Five straight victories over three days with a dominating 15-3 margin of points scored versus given up had the SMA ladies the talk of the tournament as they finished with the highest aggregate round robin score amongst all the teams and placed the ladies in the top side of the A division. A birth in the semifinals Sunday afternoon against a very pesky team from Whitby, Ontario ended the Flames’ dreams of a championship, as the visiting Wolves scored with less than a minute left in regulation to break a 2-2 tie and send the Flames home elated yet also knowing how close victory was. The loss was somewhat softened by the fact that Whitby lost in the championship game two hours later to the host Stoney Creek Junior Sabres, a team the Flames had beaten 2-1 the day before in round robin action. Team play was the order of the day and hats are off to the entire team, especially team captain grade 11 Danielle Krzyszczyk, who tied for the overall tournament scoring lead despite often being double-teamed by opposing squads. Grade 10’s Tess Bracken and Meike Meilleur also finished in the top ten in overall tournament scoring and both goalies, grade 12 Annie Chipman and grade 10 Anna Kulas, had outstanding tournaments, each garnering a shutout along the way. Despite having a much younger team, the St. Mary’s Flames Prep hockey team battled to a well-deserved 2-2 tie against a very talented Shaftesbury squad in their first game of the new season. Led by two goals from team captain Danielle Krzyszczyk on assists from Maddie Patrick and Christian Higham. A very solid team effort from the the Flames. The young ladies are now in Stoney Creek/Hamilton, Ontario this weekend playing in the Stoney Creek AAA Midget Showcase Tournament. This tournament features the top 40 invite-only teams from across North America. The Flames play their first game on Friday, Sept 7 at 8 a.m.